Normal access to library resources from off-campus will be disrupted beginning Saturday, August 5, 11:00 p.m. until Sunday, August 6, 8:00 a.m. due to system maintenance. In order to connect to library resources (e-journals, e-books, databases, etc.) 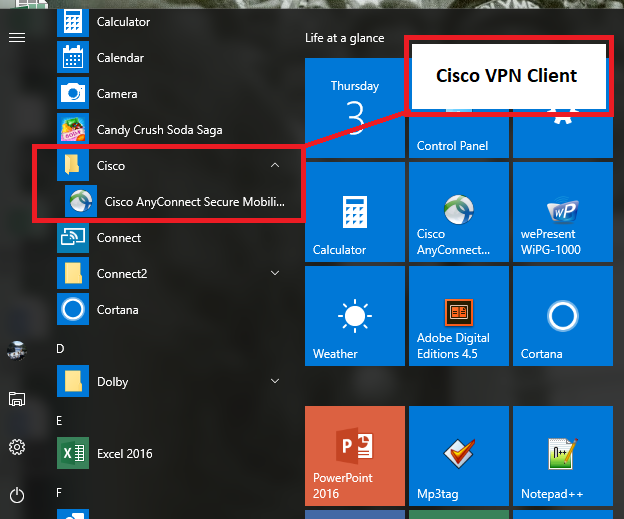 during this time period, launch the Cisco AnyConnect Secure Mobility VPN Client found under Windows Applications on all NMU computers (see image below). Login user your NMU network id/password (email id/password). For those without an NMU issued computer, you can download the free software from the NMU IT Services downloads page. Normal access should resume Sunday morning around 8:00 a.m.